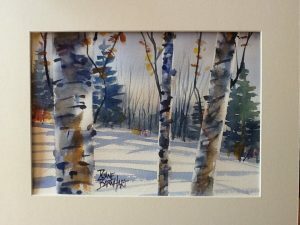 Duane will lead you step-by-step through an exciting and informative 3- hour painting project using fun watercolor techniques to create a ‘Winter Birches’ piece. Come with a friend for this fun painting experience! 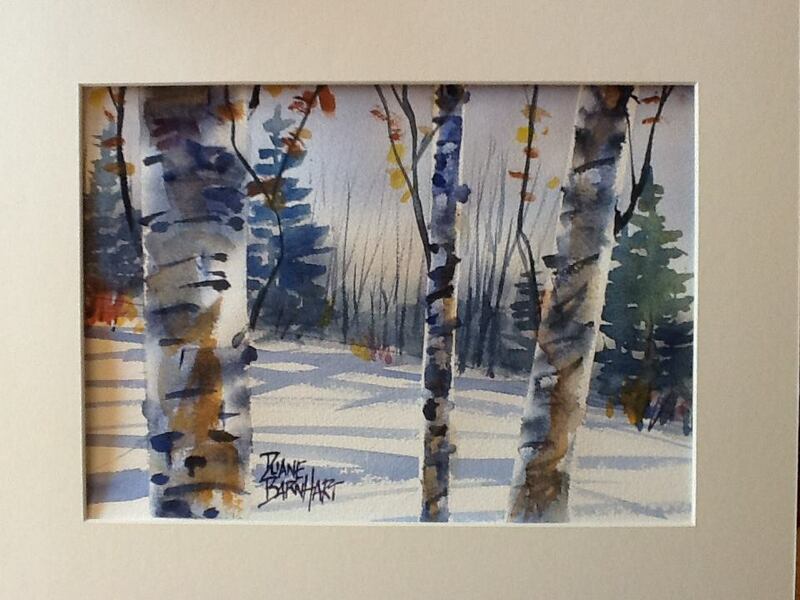 This is a perfect class for beginners, but still fun for those more experienced water-colorists. All supplies are provided for a 9″ x 12″ painting. Refreshments will be served. Ages 16 and up.